Amazon has posted growth in its top and bottom line for Q3 2018. Net sales increased 29.3% to $56.6bn in the third quarter, compared with $43.7bn in third quarter 2017. Net product sales were up by 17.3% whilst service sales grew at a much faster rate of 52.4% for Q3 2018. 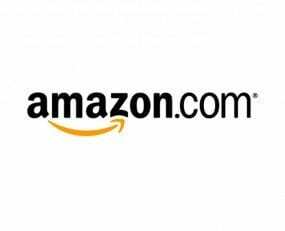 Online sales at Amazon grew by 10.1% in comparison to Q3 2017 at a total of $29.1bn. The expansion of Amazon’s brick and mortar strategy has resulted in revenues for physical stores increasing by over two-fold to $4.3bn. Operating income increased to $3.7bn in the third quarter, compared with operating income of $347m in third quarter 2017. Fulfilment costs stood at $8.3bn for Q3 2018, up 28.9% year over year, whilst worldwide shipping costs grew to $6.6bn representing an increase of 21.6%. Net income increased to $2.9bn in the third quarter, or $5.75 per diluted share, compared with net income of $256m, or $0.52 per diluted share, in third quarter 2017. Despite the revenue growth, the total figure of $56.6bn fell short of estimates. Consequently, Amazon’s share price shrank by 7.5%, by the following morning, in light of the press release.